Macrolides inhibit protein synthesis. They impair the elongation cycle of the peptidyl chain by specifically binding to the 50 S subunit of the ribosome. Azithromycin is acid-stable antibiotic, so it can be taken orally with no need of protection from gastric acids. It is readily absorbed, but absorption is greater on an empty stomach. Time to peak concentration (Tmax) in adults is 2.1 to 3.2 hours for oral dosage forms. 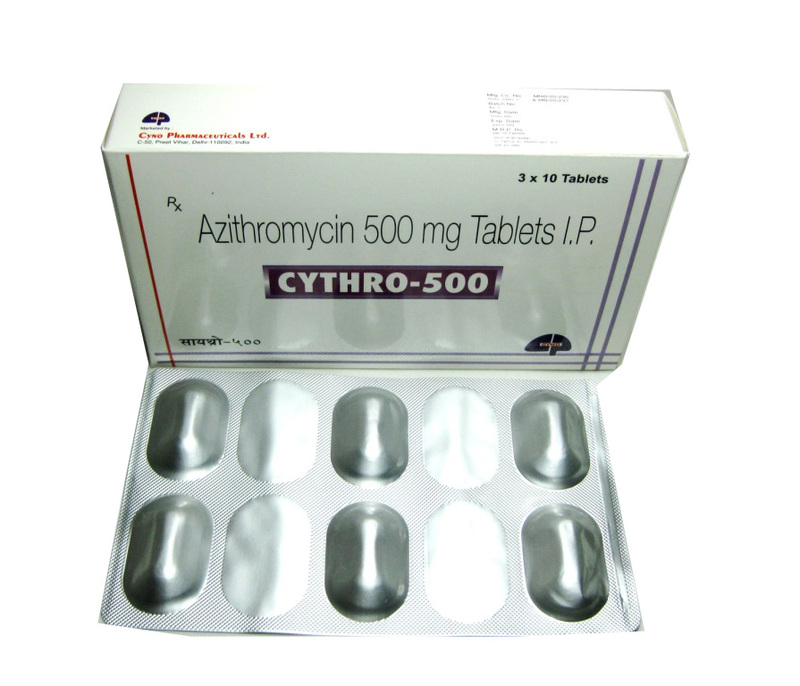 Due to its high concentration in phagocytes, azithromycin is actively transported to the site of infection. During active phagocytosis, large concentrations are released. The concentration of azithromycin in the tissues can be over 50 times higher than in plasma, due to ion trapping and its high lipid solubility (volume of distribution is too high). Azithromycin’s half-life allows a large single dose to be administered and yet maintain bacteriostatic levels in the infected tissue for several days. Category B: No evidence of risk in humans but studies inadequate. Due to its hepatic metabolism, caution should be exercised when administering this agent with other drugs metabolized in the liver. The following drug interactions are clinically relevant but do not represent the comprehensive list of documented or potential drug-drug interactions. Precautions: May prolong the QTc interval.